Rabbit and Tortoise Technology Solutions enables organizations to harness the power of Artificial Intelligence, Cloud, ITIL, and DevOps with next-generation solutions that are designed to meet the needs of customers that view technology as a strategic driver. We uphold a two-in-a-box culture for better communication, collaboration and commitment. We strike a balance between speed and reliability for consistently dependable services. Our best-of-the-breed services and solutions coupled with our transparency and trustworthiness ensure optimum client success and satisfaction. Catapult your organization into the digital era as we transform your business aspects through Application Development and Management, Proposal and Training services, and Zero to One. Today, it is no longer sufficient to maintain competitive edge with service cost arbitrage. We engage in an outcome-based managed service model that offers deep business insight coupled with an intelligent and highly responsive execution model. A powerful combination of both provides measurable business results in the most erratic environments. Samba is a leading IT expert, known for his projects deliveries with zero-defect and incubating new technologies in the organization. He completed his MTech (Artificial Intelligence) in 1997, and spent 20 years in varied roles to assist organization with his visionary thinking to stay current in latest trends and technologies. Anticipating the AI boom, he left his day job to start RNT.AI. 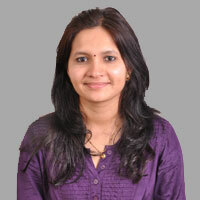 Harshita is a ITIL Expert with specialising in defining and executing project transition and designing strategy to identify ‘One Click’ solutions in Support projects. 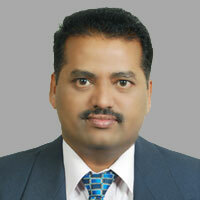 Her expertise in spotting the right tools accelerated organizations goals in automation journey. Before founding RNT.AI she spent 12 years in varied roles assisting the organization in taking services to market seamlessly using her MBA in Marketing. We're currently partnering with organizations in hiring for positions at all levels in Artificial Intelligence, Machine Learning & Deep Learning. If you have the passion to learn them, we will up-skill you in these next generation technologies. If you'd like to work with us, feel free to .